Soup is a classic winter dish, and with good reason. It fills you up and warms you up at the same time. A lot of times I’ll made one big pot of soup that serves as our whole meal. That means filling it up with lots of protein so that it is hearty as well as healthy. 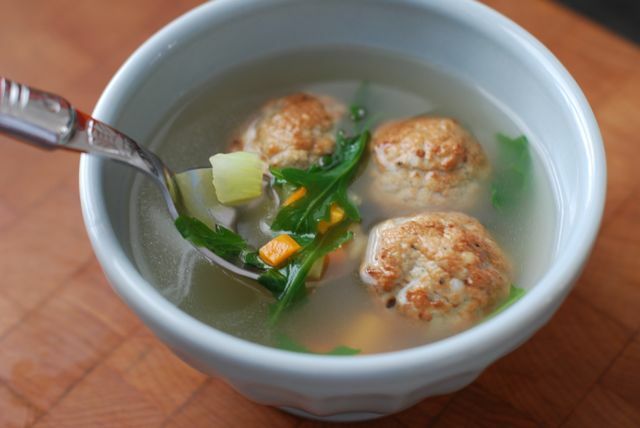 One of our current favourites is Italian wedding soup. It is a soup with a clear broth, pasta, herbs, and meatballs. It is the perfect combination of soothing and satisfying. With six more weeks of winter still on the horizon there is plenty of time to make yourself a big batch for lunch or dinner today! Step 1: Preheat the oven to80 degrees C.